The summer is officially here! That means trips to Disneyland, movie theaters, and airports—all three of which have made their way into this week’s newsroom creative roundup. Whenever we get ahold of a good data set, we immediately try to visualize it to look for an interesting story worth telling. These three pieces of microcontent really jumped out to us this week, and we hope you enjoy them! If you’ve been to Disneyland in the last couple years, you’ve probably experienced over-crowding, long lines (more so than usual), and rising prices. In recent news, Disneyland sent out a survey to current passholders discussing the possibility of a tiered ticket pricing system. This system breaks down single-day tickets into three tiers: gold, silver, and bronze. Gold tickets would be issued on highly trafficked days like holidays, spring break, and summertime. Those gold tickets are said to be about $115 for one day, one park. 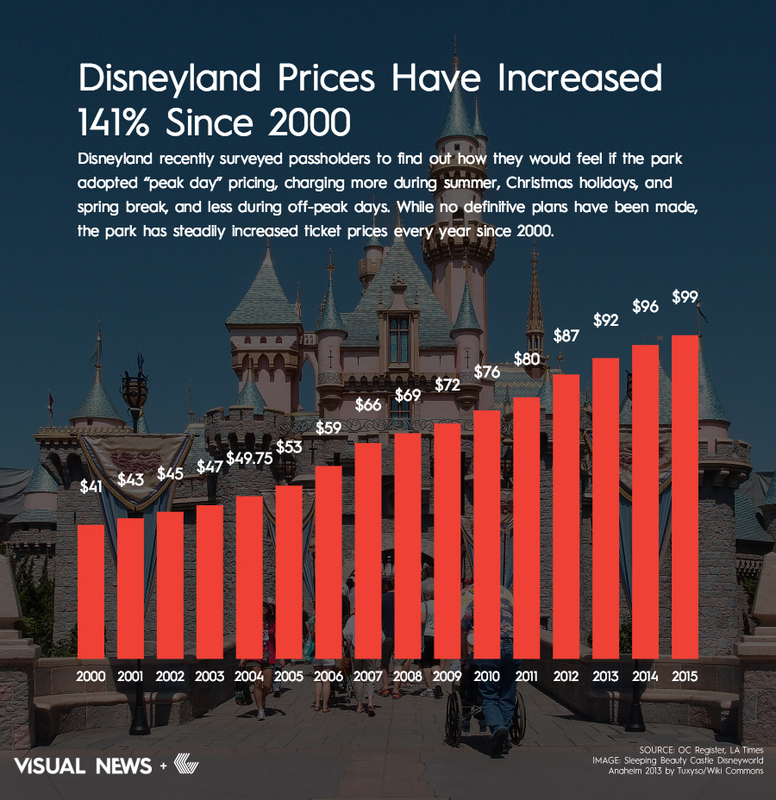 To put this into perspective, we took a look at Disneyland’s rising ticket prices over the last 15 years. Summer usually means the release of the year’s biggest movies. Just this last weekend, the Minions movie racked up a massive $115.2 million at the box office. That’s the second-highest opening for an animated movie ever. 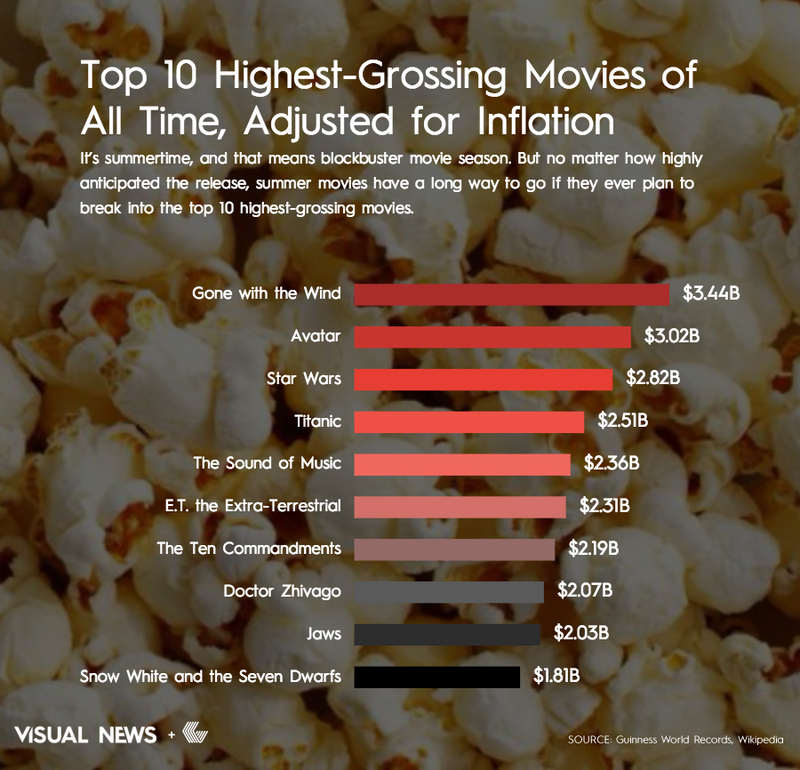 Below, we take a look at the highest-grossing movies of all time. Some of the movies might come as a surprise. (We’re looking at you, Doctor Zhivago). TSA Sleeping on the Job? 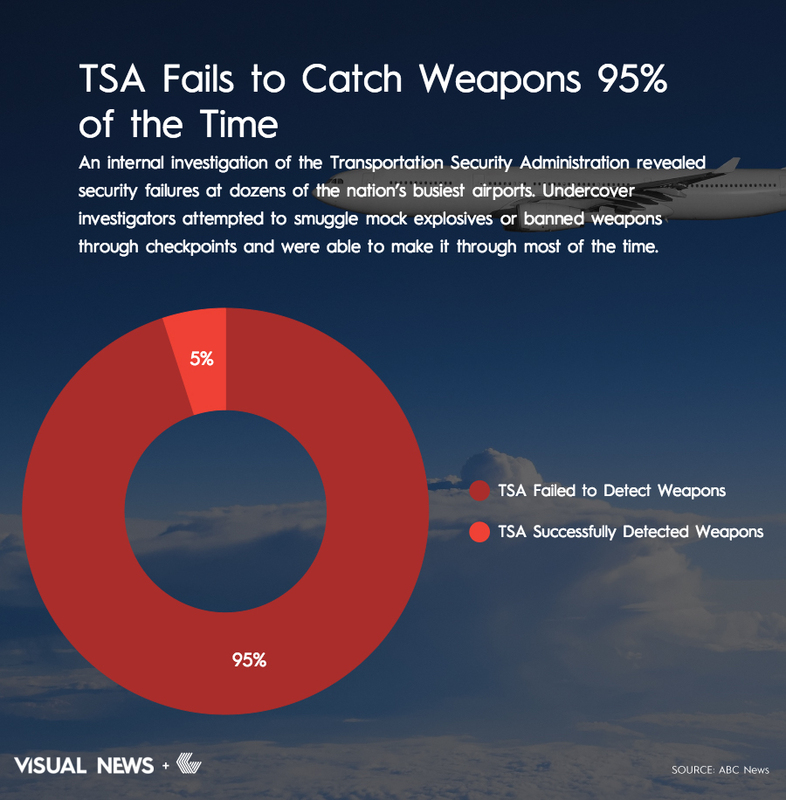 We’re not into fear mongering, but when we read a recent NBC News report stating the TSA fails to catch weapons 95% of the time, it prompted a great big, “WTF? !” An internal investigation has revealed security failures at the nation’s busiest airports. The failed breaches allowed undercover investigators to smuggle weapons, fake explosives, and other contraband through numerous checkpoints. All that to say, we assume we’re all going to have to continue taking off our shoes at check-in for the foreseeable future. *All pieces of microcontent were created with Visage.